Discussion in 'Map Factory' started by ProfFiendish, Apr 10, 2009. If you're interested, give it a run through and tell me what you think. New! 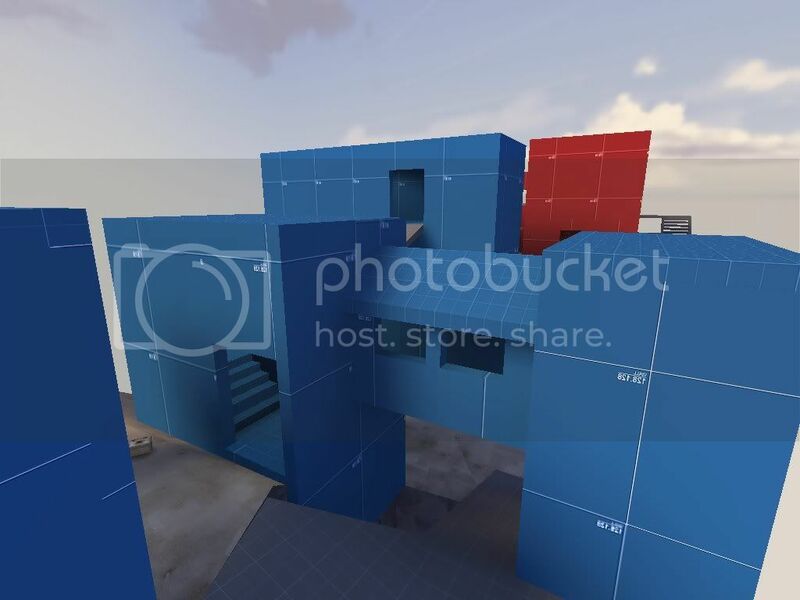 Each team's spawn area has been reworked to now include a sniper tower, increasing the size of the map overall, plus all new opportunities to fall. Changes to layout, arena entities now functioning. Looks interesting so far, I will play it when I have time. I was certainly considering moving the spawns back so the area right in front of the current spawns is more neutral. I'll probably keep the existing buildings the same size, because there needs to be some tight corridors for class balance. A new release, A3, is out! A few major layout changes: look at original post for details. I would be glad if you took the time to download and run through it a bit, and give opinions on class balance and other gameplay aspects. Thanks! The lack of comments is... good? At any rate, I'm going to start detailing, so keep an eye out for this map in the future. I Just did a quick fly-through and I have to say that the layout looks really good, easy access to the top level and multiple paths to the center are nice. The only thing I really hope you add is a few fence pieces here and there, since it looks like it would be REALLY easy to fall off. Other than that, nice work and (as a regular arena player) I'm excited to see the finished product. Whoa, hold on buddy! Lack of feedback does not mean much. Many people are too lazy to give it outside an actual play test because it requires you to do stuff. If you really want good feedback (like me) you have to work hard for it. I would not start detailing anything until you get a few weeks of solid testing done. You don't want to make a beautiful map that no one plays. I would try to find a good community somewhere that's willing to work with you and play test your map for a while, or you could just submit it to a few different gamedays. I'll give it a run through and let you know what I think. I would try to find a good community somewhere that's willing to work with you and play test your map for a while, or you could just submit it to a few different gamedays. I suppose that's reasonable... I was going to try to release before I have my major exams, but of course, rushing won't get me anywhere. I'm probably not going to add fences anywhere, but from what I've heard from players so far, I'm going to widen the walkways around the outside of the main buildings (including both sets of stairs). In actuality, it's not all that easy to fall off, unless you're a careless scout. Because much of the battle is in "safe" positions: around the cap point, on the bridge, in the buildings: even opponents with knockback-dealing weapons are not that OP. Alright, at the moment, I'm considering discontinuing this map in favor of its KotH iteration, which so far has been very fun to play with friends. 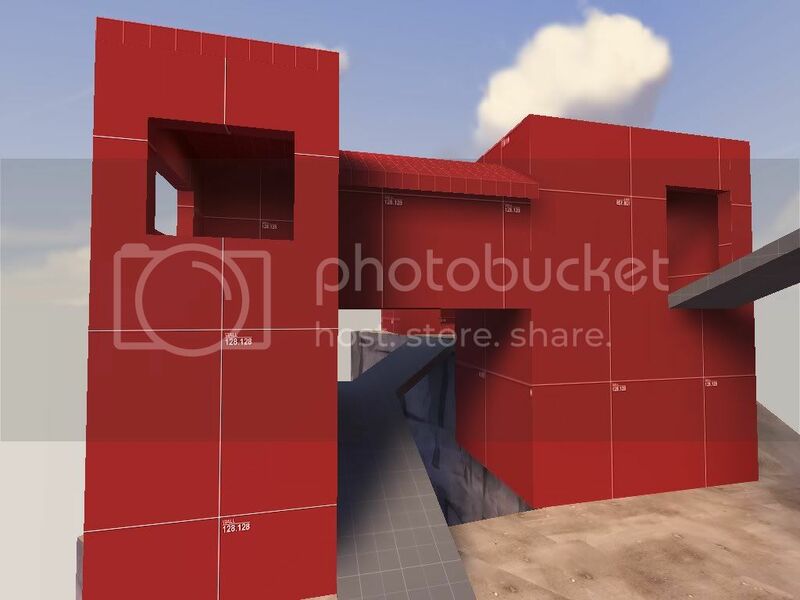 Hopefully koth_Clifftop will scale well to larger teams as well. Here's a link to koth_Clifftop's thread. Didn't get a chance to play myself but I did record a couple demos last night.